Schema (Structured Data) markup is a type of code that you can type of code that you can use on a WordPress website that’s extremely beneficial for search engines to produce better results on your page. An SEO schema markup is still one of the least used forms of SEO and it can provide a huge boost to your search engine rankings. 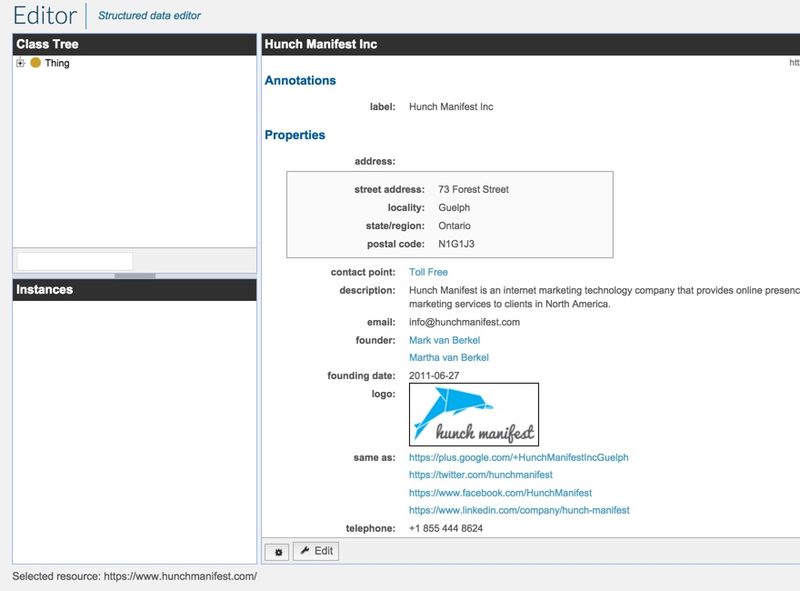 Here is the Offical Structured Data Testing Tool which helps you validate structured data within your document markup. How WordPress schema plugins boost your search ranking? The way that WordPress schema plugins can provide a boost to your ranking is through the data that they can display on web pages. You can aggregate an extensive amount of data into these plugins which are highly beneficial for your search engine presence. A person searching on mobile, for example, might be able to see a drop-down of the latest events that you have scheduled or a more in-depth look on the data you have recently shared on the site. Schema plugins basically tell a search engine what all of the data on your website means which can then produce a more in-depth search engine listing. Here are the 5 best Schema markup (Structured Data) WordPress plugins to help you quickly and easily implement the structured data on your WordPress sites without the need of installing the heavy all-in-one WordPress SEO plugins. 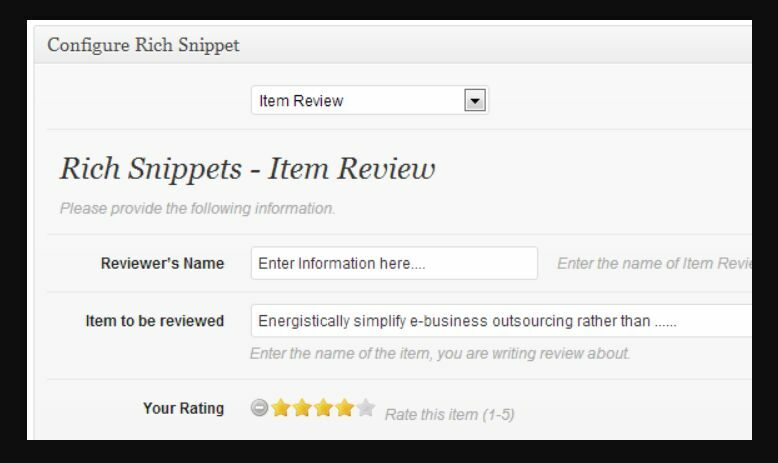 Get eye-catching results in search engines with the most popular schema markup plugin. Easy implementation of schema types like Review, Events, Recipes, Article, Products, Services etc. It gives search engines only the important & precise information to display in search result snippets. Super fast, lightweight plugin for adding schema.org structured data markup in recommended JSON-LD format automatically to your WordPress sites. Enhanced Presentation in Search Results By including structured data appropriate to your content, your site can enhance its search results and presentation. Easy to use, set it and forget it, with minimal settings. Enable Schema types at once per post type or post category. Valid markup, test it in Google Structured Data Testing Tool. Output JSON-LD format, the most recommended by Google. Reuse data saved in post meta, which is created by other plugins. Extensible means you can extend its functionality via other plugins, extensions or within your Theme’s functions.php file. A WordPress plugin that allows you to include schema.org JSON-LD syntax markup on your website. 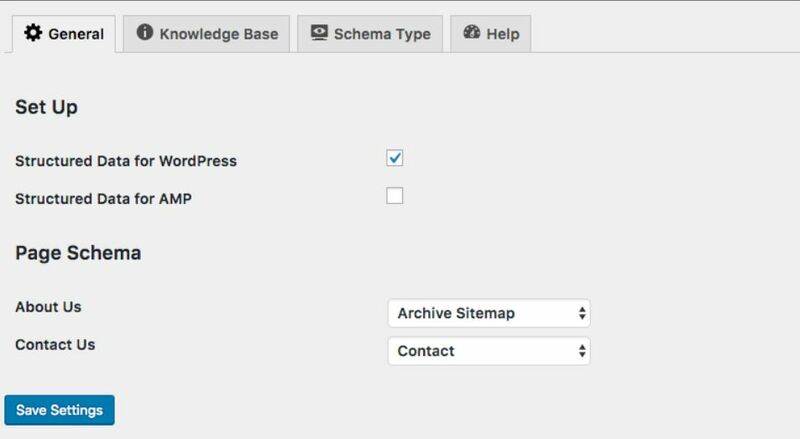 The Schema App WordPress plugin automatically creates schema.org markup for the all your pages, posts, author and category content leveraging information that already exists in your WordPress website. Just activate the plugin, adding your logo and name of your business, BAM, your content is optimized to be fully understood by search engines resulting in higher traffic, higher click through rates and more. 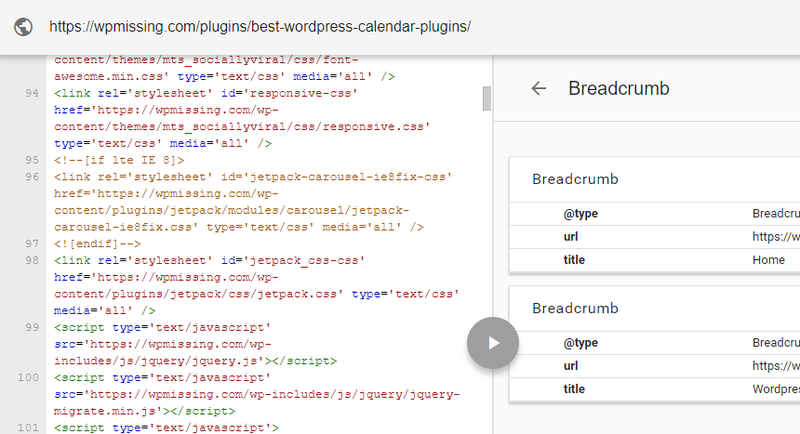 The plugin also provides all three Google Site Structure features including Breadcrumbs, Sitelinks Searchbox and Your Site Name in Results. WPSSO creates complete meta tags and Schema markup for Facebook / Open Graph, Twitter Cards, Google Rich Cards / SEO, Pinterest Rich Pins, and more, including descriptions, titles, hashtags, complete image markup, complete video markup, extensive eCommerce product markup, author profile / authorship, co-authors, publisher information, local business markup, aggregate ratings, reviews, recipe information, event details, and much, much more. Uses your existing content for meta tags and Schema markup. Includes advanced quality control features and options. Can enhance and integrate with your favorite SEO plugin. Incredibly fast and coded for performance. Advanced meta tag / Schema JSON-LD filter hooks for developers. The benefits to using a WordPress site with one of these plugins is that your search engine listings instantly become much more valuable. Rather than a search engine crawler just going over your site for keywords, your content is put on prime display instead. This can give you an extensive value when a user is checking out your page on a mobile device or against some of your competition that may not be using one of these plug-ins with their own website. The process of installing WordPress Schema plugins is also now easier than ever before. Through the WordPress marketplace, you can seek out these plugins and quickly install them on your site for an instant advantage. Depending on the nature of the WordPress site that you have created, structured data plugins will help you use the best new technology for SEO. 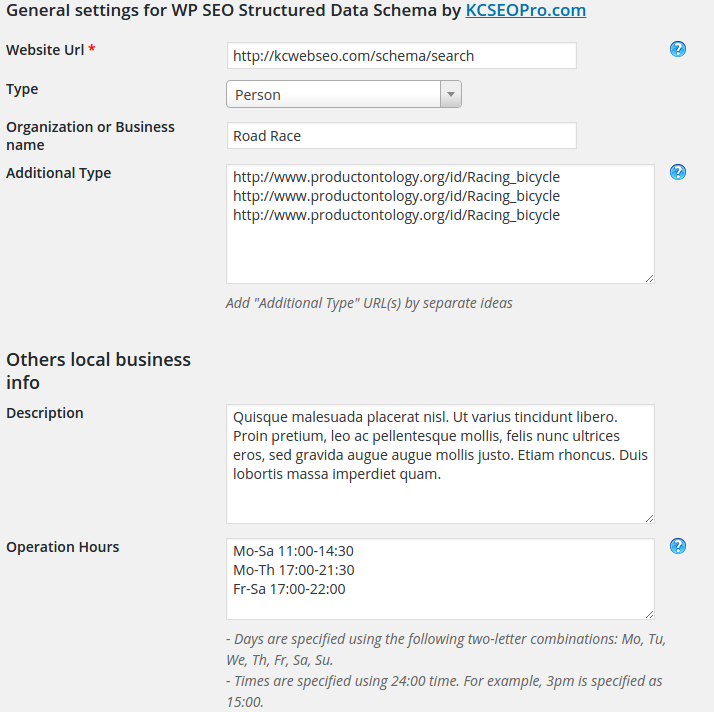 Thanks for the write up….Schema App Structured Data is a premium plugin. Is there a plugin like Schema App Structured Data that is free?